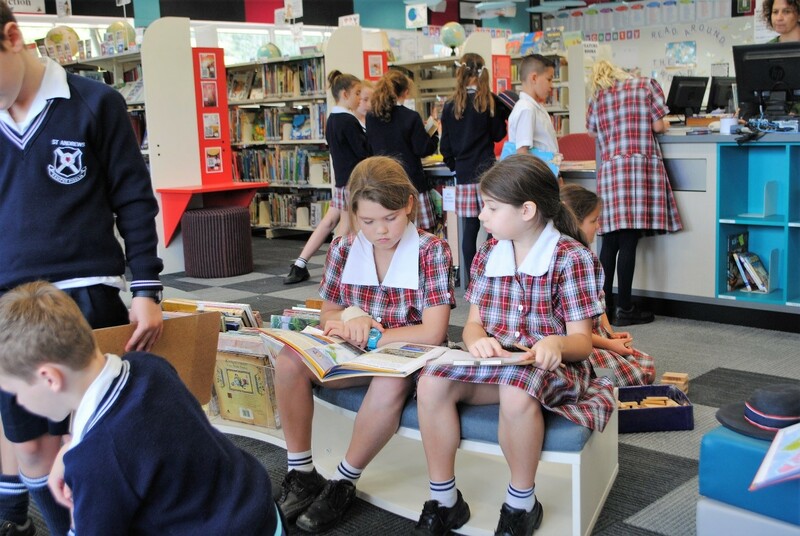 The Junior School Library provides curriculum based resources, literature and recreational materials in a variety of formats which support the continually changing needs of the Junior School community. 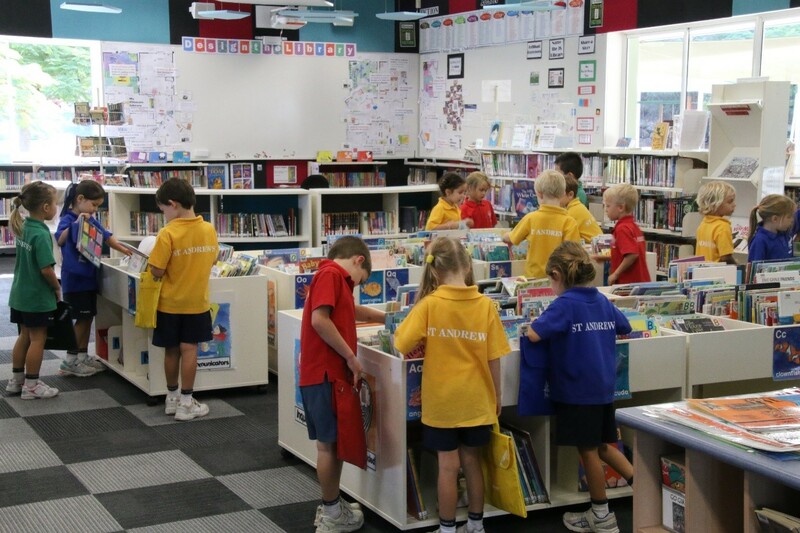 Students and staff have access to a broad fiction and non-fiction collection with an international perspective designed to support the Primary Years Programme (PYP). Special interest collections in both print and electronic formats are also available. These collections supplement the main collection and cover a range of academic and general interests. The Junior School Library caters for classes (P- 6) to browse, read, interact and undertake research and inquiry. The students have access to various forms of technology to support this. 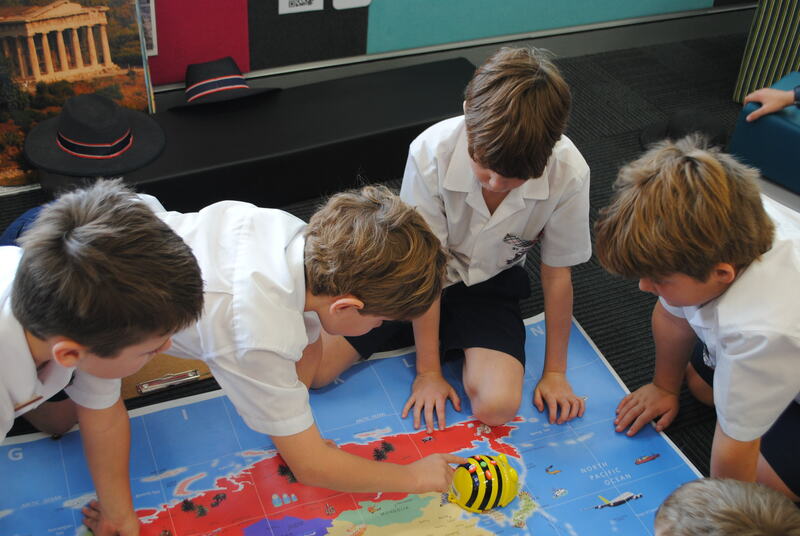 The Junior School Library has two learning areas (The Campfire and the Makerspace) each with an interactive projector that classes can book. There are continuously changing displays featuring student work and learning, photos, author information, coming events, special themes and student monitor designed displays. Students are able to view a showcase of their work and their interactions in the library and the PYP. A variety of technology is available to staff and students. These resources are accessible throughout the school day. Students can also connect to the school network via wireless access. The Junior School Library is staffed with a full-time Teacher Librarian who is fully involved in curriculum development, teaching and training across the Junior School. 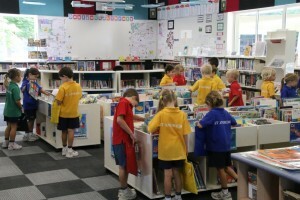 In addition, the Junior School library has a full-time Library Technician who oversees the borrowing and processing of resources. Specific user guides, resource lists and feature resources are available for all users. The library staff assist students to become independent inquirers and to construct their own learning. Information literacy skills and life-long learning is actively taught in conjunction with the IB Learner Profile and Attitudes. The Junior School Library actively promotes reading and literature through a variety of reading programs and promotion of new literature. Each class (P-6) has a borrowing session once a week led by their class teacher. Volunteers are most welcome. At the beginning of each year students and parents sign a Library User Agreement that outlines rights and responsibilities. Students may borrow at any time during the school day and this is actively encouraged. Parents are also able to apply for borrowing access. Most resources are available for 1-week loan and are renewable. Depending on the year level up to four resources may be borrowed at any one time. 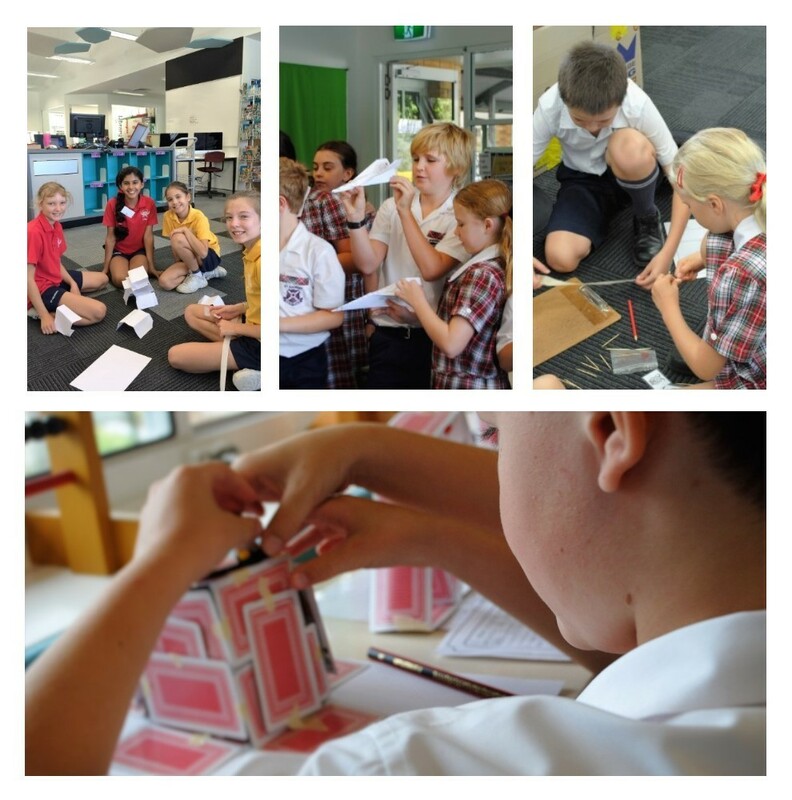 Magazines are for use for students in Years 2 – 6.